Hi, I'm Dr. Riese. I was born and raised in Merrillville, Indiana. I attended IU Northwest and Indiana School of Dentistry where I received my DDS degree. My wife Jennifer and I moved to Monticello (Jennifer's hometown) in 1997 shortly after being married. I practiced as an associate up to 2006, at which time I purchased the practice. In the fall of 2011, we moved into our new facility. ​We currently have six children. Living in Monticello, we have been involved in many activities such as church, school, and our great community. I enjoy reading mainly Christian non-fiction, pursuing and preserving America's Christian heritage, and just being a Dad. I'm blessed to be a part of giving and receiving that occurs while caring for others here at Declaration Dental. Hello, I'm Dr. Lutz. I have over forty years of experience in the dental field. After graduating from DeKalb High School in Auburn in 1972, I served in the U.S. Navy as a dental technician. Upon being honorably discharged, I worked for a children’s dentist in Bloomington while attending IU and graduated from the IU School of Dentistry in 1986. My wife, Caye and I moved to Monticello that same year where I enjoy the daily challenges and satisfactions of providing quality dental care to my patients. My interests include watching and participating in all kinds of sports and games, music, reading a good book, the Good Book, our four cats, and a good laugh. I am a dental hygienist and love working with the staff and the patients within our practice. I have been with Declaration Dental since July 6, 2009. I grew up in White County; however, I graduated from Pioneer High School. I was also a ten year member of the White County 4-H program. I graduated from Indiana University South Bend with a degree in Dental Hygiene. I am married to Steve Felker and we have been married for 13 years. We have four children, Wyatt, Eli, Jake and Kinsey. We reside in the northeast part of White County. Our children attend Pioneer Regional School Corp. and are also members of the White County 4-H program. I am a member of Shiloh Christian Church and really enjoy working in a positive Christian atmosphere here at Declaration Dental. Hi, my name is Cady Moss and I am a dental hygienist. I was raised near Lake Cicott and went to Pioneer High School. I graduated from IPFW in May 2013 with an Associates degree in dental hygiene. I also became licensed for local anesthesia and certified as an expanded functions dental assistant. I started working at Declaration Dental in January 2014. I love working with my fellow staff members and enjoy getting to meet new patients as well as catch up with current ones. I was married in May 2016 to Matt Moss and we now live in Monticello. We both like to be active and we enjoy doing Tough Mudder races together. We also have a dog, Cassie, who loves to run even more than we do. My name is Sandy Salyer. I have worked for Declaration Dental since September 2011. I was raised in North Judson and after graduating from North Judson-San Pierre High School I attended and graduated from Indiana University of South Bend in 2000. I currently live in North Judson with my twin boys that keep me very busy. I am also a member of the Fellowship Baptist Church. I enjoy working at Declaration Dental because I am able to focus on patient care and building relationships. My name is Tina Frybort. I was born and raised in Buffalo. I currently live in Buffalo with my husband and two boys. I graduated high school from North White and Indiana University-Purdue University at Fort Wayne with my Associate in Science/Dental Hygiene in 1991. I've been here since September 3, 2013, and I always look forward to making long lasting relationships with the wonderful patients at Declaration Dental. Hello! My Name is Kristy Burgos. I graduated from Indiana University Northwest in Gary, Indiana in 2017 with my Bachelors in Dental Hygiene. I also graduated in 2015 as a Dental Assistant at the same college. I live in Demotte, Indiana with my Husband Mike and two amazing boys Austin and Aiden. My family loves to play football, baseball, go camping, and spending time together. I love working here at Declaration Dental. The staff and patients have been so wonderful during my time here. I look forward to working with and building a bond with all my new patients. 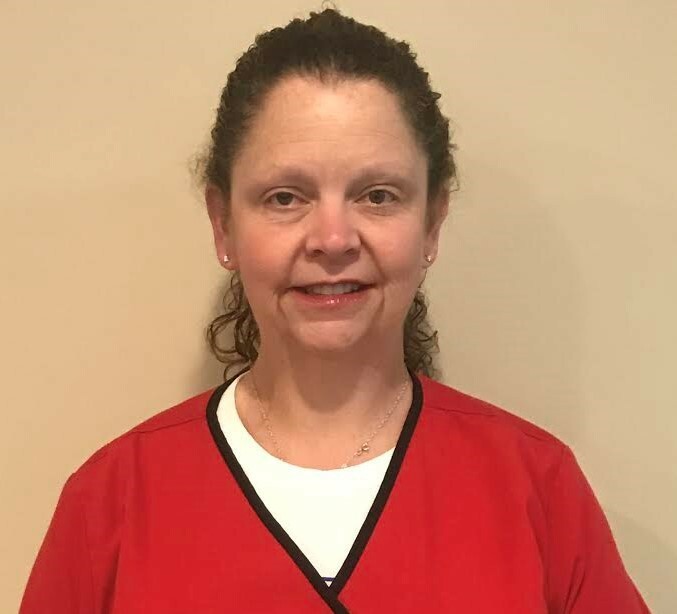 Hi everyone, my name is Shelley Parker and I'm a dental hygienist here at Declaration Dental. I'm a 1990 graduate of Indiana University South Bend with an Associate degree in Dental Hygiene. I also am a 2014 recipient of my local anesthesia permit from Ivy Tech Community College in South Bend. I hold a passion for patient education and enriching smiles. Outside the office, I enjoy spending time with my boyfriend Ron and our pets Maddie Grace(a toy poodle) and our rescue kitty Wrigley Field. When we have free time, you'll find us camping, fishing, or spending time with family. 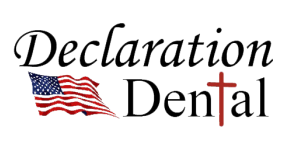 I'm excited to make Declaration Dental my home. It's nice to work with such a compassionate Christian oriented team. My name is Chelsey Howat and I am an Expanded Dental Assistant at Declaration Dental. I've been here since May 29, 2013. I went to assisting school in Lafayette at Ivy Tech Community College. I live in Francesville. I attend the Teaberry Hill Estates Church in Medaryville. I enjoy spending time outdoors, exercising, and with my family. I'm blessed to work for Declaration Dental with such caring people. I love the atmosphere as soon as I walk through the door. Hello! My name is Bethany Brown, and I am a Certified Expanded Duties Dental Assistant. I started at Declaration Dental in November 2016. I was raised in Kentland, Indiana and still reside there. I graduated South Newton High School in 2011 with Academic Honors. In 2013 I graduated Ivy Tech Community College with my Associate's Degree in General Studies, and in 2015 with my Technical Certificate in Dental Assisting. I am certified in Radiology, Coronal Polishing, Fluoride, and CPR. I married my middle/high school sweetheart in February 2014, and we are blessed with 3 beautiful, healthy children; Brody, Bailee, and Bryer. We attend a Christian Church in my home town. My family and I are very involved with sports, being outdoors, and helping in the community. I love Zumba, excercising, crafts, fishing, and being with family. I love being an EDDA, being around people, and creating lasting relationships. Declaration Dental is such a warm and welcoming Christian office, and I am absolutely blessed to come through the door everyday knowing our team makes positive differences in oral health care. I have been employed by Declaration Dental since December 2006. Prior to working for Declaration Dental I had worked in management for over 25 years. I have a B.S. in Management and Administration from Indiana University Northwest. My hobbies include coaching youth basketball and buying and selling typewriters. I live in Hebron with my wife Billie and children Austin and Amelia. My daughter Amanda and her husband Tristan live in Burns Harbor with their children Julianna, Elaina and Nolan. Hi, my name is Kristy and I've been a part of the team here since April 2014. I'm a graduate of Pioneer Jr. Sr. High School and earned my Associates Degree in Accounting at International Business College in Fort Wayne. I live just north of Lake Cicott with my husband David, son Dylan, and daughter Elizabeth. We enjoy camping, being outdoors, and sports. I am excited to be part of a great team and can't wait to make relationships with the patients at Declaration Dental.